Do you have an electrical need that needs to be done quickly and with an eye for quality, look no further than Lethbridges own Banda Electric. We have the highly-trained, industry-certified master electricians with years of experience. Banda Electric specializes in Airport Lighting Maintenance. We bring our experience from other aspects of our trade to the airport, meeting our clients unique requirements. Not only are we excellent at what we do, our love for aviation is clear within our ranks. 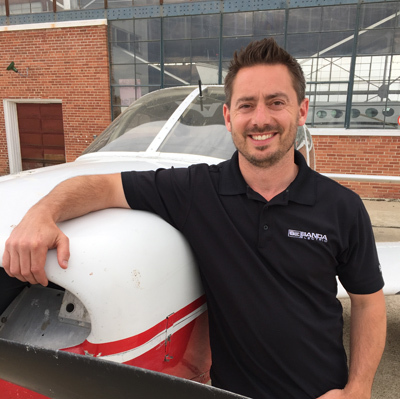 A senior member of our team is also a qualified pilot. Electricians who fly!